Sheffield United manager Chris Wilder has fitness doubts and a selection dilemma ahead of the game against Wigan. Wilder declined to reveal the names of the players he needs to assess before Saturday's match at Bramall Lane. And he was also not about to venture an opinion on whether Leon Clarke would continue up front in place of Billy Sharp. Clarke scored his first goal of the season in Tuesday's 1-1 draw with Stoke, with Sharp an unused substitute. Wigan boss Paul Cook will be without midfielder Darron Gibson for the trip to Sheffield. Gibson will serve the final game of a three-match suspension following his red card against Preston earlier this month. Cook is also set to be denied the services of another midfielder as Lee Evans is on loan from Sheffield United and will be ineligible to face his parent club. Callum McManaman, who came off the bench for the last few minutes of Tuesday's loss at Millwall, will be pushing for a place in the starting XI. Sheffield United and Wigan are meeting for the first time since the 2015-16 season, when they were both in League One. 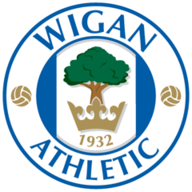 In the most recent match, Wigan won 2-0 at Bramall Lane. In the Championship, Sheffield United and Wigan haven't met since the 2004-05 season - the Latics won both matches on their way to promotion to the Premier League. Sheffield United have lost just two of their last 16 home games in all competitions (W8 D6). Paul Cook's heaviest defeat as a Football League manager was against a side managed by Chris Wilder - Cook's Accrington Stanley were beaten 5-0 by Oxford United in October 2012 in League Two. Highlights of the Sky Bet Championship match between Millwall and Wigan Athletic. 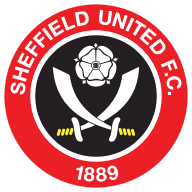 Since Chris Wilder's first league match in charge of Sheffield United, only Man City (62) have won more league games in English league football than the Blades (58). Wigan haven't lost six consecutive away league matches since May 2010 in the Premier League under Roberto Martinez.